They looked like me, or at least younger versions of me. We spoke the same languages, English and Somali. Their parents' history — fleeing a brutal civil war, seeking a better life in Minnesota — was my history, too. My community ties opened doors for me as I covered the FBI's pursuit of Somali-American Muslim men in their teens and twenties trying to join the ISIS terror group. Those connections let me break news and deliver reporting to MPR's audience like no other journalist. They also came at a cost. Some Twin Cities Somalis ripped me as "Mukhtar FBI," a spy. Law enforcement officials made it clear they viewed some of my reporting as overly sympathetic to the community. During the recent trial of three of the men charged, I was pulled aside by marshals as I tried to enter the courthouse, despite the press credentials hanging clearly around my neck. As the old journalism saying goes: If everyone's angry, you must be doing something right. I didn't plan to be a reporter when I came from East Africa in 2005, but I eventually embraced it. Journalism's helped me honestly tell stories that otherwise might not have been told, including the stories of young Twin Cities men and the lure of ISIS. April 18, 2015 was a lazy Sunday at home. I was immersed in the simple joys of fatherhood, playing with my squealing 11-month-old daughter Maandeeq. Then my phone buzzed with a text, a tip from a reliable source: As part of a joint terrorism task force investigation, the FBI arrested six young Somali-American men, four in Minnesota and two in California. My reporter's instinct kicked in. The source told me to call Ayan Farah, a mother whose two sons were arrested: one at her house in Minneapolis, the other in San Diego. Four other families whose sons were also nabbed in the operation were meeting at Farah's house. I grabbed a bag with my reporting gear and dashed from home to Farah's house. The scene there was chaos and confusion. Mothers were caught off guard about the arrests of their sons. Some were asleep when FBI agents and police officers descended on their houses. The next day, all the young men were charged in federal court with conspiracy to provide material support to ISIS. Six months later, the government added another charge: conspiracy to commit murder outside the country, a charge that carries a maximum sentence of life in prison. This tip didn't just interrupt my family time that Sunday afternoon; it would consume me for more than a year. I continued to report on this case from that spring afternoon in 2015 and through the trial, which ended a week ago when three of the young Somali-American men in their early twenties were convicted of conspiracy to join ISIS and to commit murder overseas. I'm a Somali with childhood memories of other East African nations. My family fled Somalia, our war-torn homeland, when I was a toddler. I arrived in St. Paul in 2005 at age 17 and enrolled in college a few months later. Like many immigrants, I faced many challenges. Acclimation to the American education system was slow and overcoming the language barrier seemed impossible. But choosing a major was my biggest worry. I took science courses to please my family. They hoped I'd become an engineer or a doctor. But I found my professional calling in 2007 when I read about two dozen young Somali-American men, my peers, from the Twin Cities who ditched school for Somalia to join the terrorist group al-Shabab. I was so engrossed in the media's coverage of the cases that I changed my major from biochemistry and pre-med to journalism. The local media's coverage of the story was largely one-sided, relying heavily on the government's narrative, and did not capture the full picture of what led the men to leave the United States for Somalia. I thought most of the reporters were disconnected from the community I knew. Seven years later, history seemed to be repeating itself, but this time I'd be one of the reporters. I heard rumors that several young Somali men left the Twin Cities and went to Syria to join ISIS, a brutal terrorist organization in Syria. In 2014, I was the first to report on the scope of the Minnesota problem: As many as 15 young Somali-Americans had been lured by radical groups in Syria. I interviewed a man who abandoned his party-loving ways in Minneapolis for Syria, where he said he joined ISIS in an attempt to overthrow Bashar Assad's regime. Months later, the man was killed in battle. Who is the face of terror? Terrorism is a loaded term. "When I hear about the word terrorism, I immediately think ... guilty," said one potential juror in the trial of the three men — Guled Omar, 21; Mohamed Farah and Abdirahman Daud, both 22 — during jury selection on May 9. She was excused after admitting her bias against the defendants. But she's not alone. The devastation of Sept. 11 and subsequent attacks and bombings remain etched in the consciousness of many Americans. When terrorists strike, the media and politicians quickly put Muslims in the spotlight. Muslims are implicitly linked to the terror acts, and a lot of our fellow Americans have no problems finding us guilty by association. On March 22, the day of the bombings in Belgium, Sen. Ted Cruz, R-Texas, who was running for president at the time, called on authorities to "patrol and secure" Muslim neighborhoods in the United States. On the same day, a Fox News host suggested looking into "taking some liberties" from Somali-Americans in the Twin Cities. Around the same time, the FBI was carefully following the movements of a group of young Somali-American men in the Twin Cities, as well as their travels and their friends' activities. The scrutiny started in 2014 when three of their friends suddenly disappeared. Those Minnesota men ended up in Syria and had taken up arms with the terrorist group ISIS. Emboldened by those departures, others in this tight circle of friends booked flights to the Middle East or found their way to New York and California, the first legs of their planned trips to Syria, prosecutors say. But they were stopped, either by federal investigators or by their families. Between November 2014 and December 2015, the FBI arrested a total of nine men accused of plotting to join ISIS. Six of them eventually pleaded guilty to the conspiracy. Throughout 2015, I interviewed families and mothers who were traumatized by the arrests of their Minnesota-raised sons who attempted to travel to Syria to join ISIS. Families told me the FBI had long been pressuring their children to become informants. Through my reporting, I learned that many of these young ISIS enlistees were struggling to reinvent themselves after past failures in school and life. In March 2015, MPR News colleague Laura Yuen and I focused on a trio of friends from middle-class suburbs of St. Paul, who answered the terror group's call for recruits. Laura and I chased the story through a combination of doorknocking, strong connections and standing in the Somali community, and a review of public records and social media accounts. We produced the first comprehensive list of Minnesota's ISIS contingent, but more importantly, we painted a picture of how radicalization could happen here. On the evening of March 26, 2015, after the results of our in-depth project were published, I shared the link to the story with a young man I had previously chatted with on Facebook. I suspected he knew more than he had told me. He'd been ignoring my messages. But that night, he began to talk to me again. "Relax," he wrote me. "mpr shouldn't be in this rush." He then added something that didn't sink in until two weeks later. "More news to come," he said. "With patience you'll see," he replied. Weeks later, I received that text with the tip: The FBI arrested the six young men. I broke that story, to the surprise of federal prosecutors who were planning a press conference for the next day. While reporters from all over the globe were flocking to Minnesota to cover the news, I again went deep into the community. I soon learned the man I chatted with on the night of March 26, 2015, was friends with all the men arrested just weeks later. He played a crucial role in helping the FBI crack the case by secretly recording his friends' conversations. His name was Abdirahman Bashir, an FBI informant. Before the project was published, I also exchanged messages with Omar, one of the three men convicted of ISIS-related charges. At the time, he had not been arrested yet. I asked him if I could talk to him about what he knew about some of the men who left for Syria. Omar agreed to speak with me but changed his mind at the last minute. I suspect he thought I was an FBI informant. After all, my continuous poking around on this story led some in my community, which has always been fond of nicknames, to start calling me "Mukhtar FBI." By a strange coincidence, his friend, Bashir, who started working for the FBI in January 2015, was secretly recording Omar's conversation around the same time I contacted Omar. According to evidence presented at trial, Bashir cajoled the group to take up his offer of buying fake passports from an undercover officer who would help the men travel to Syria. It was a plan they had discussed before Bashir started working for the FBI, but one he made possible. While the FBI was closing in on Omar and his friends, I was also contacting the same group after I mapped out their connections by studying their social media accounts and postings. What bothered me is when some members of my community thought I was betraying them while I was doing my best to humanize the stories of the men the government portrayed as would-be terrorists. When I was out in the community reporting, there were certain times I removed my press pass to ease the suspicion that I was somehow a government authority asking sensitive questions. Because I look like them, I blend in and it's easier to identify myself as a reporter without the press badge. 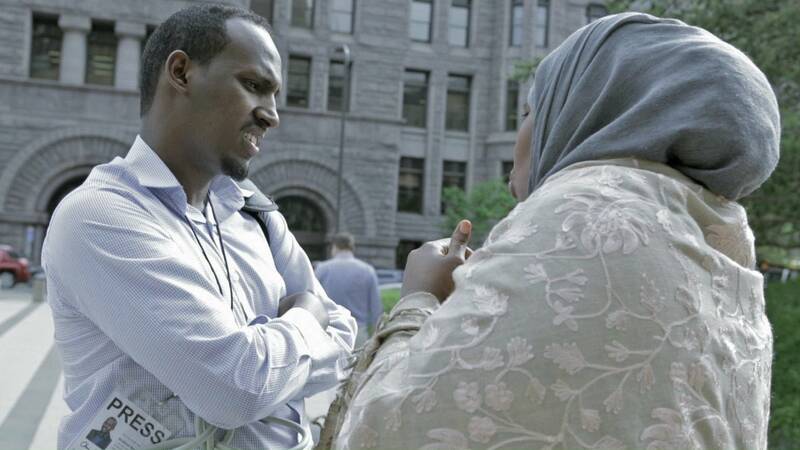 Because I am one of the first and few Somali-American reporters in Minnesota, my community did not get accustomed to one of their own, a pen and a notebook in hand, interviewing people for a story. It's easy for them to assume that I'm a law enforcement agent when I ask them uncomfortable questions about someone who left for Syria. "Are you an FBI agent?" one guy once asked me in the summer of 2014 when I was doing a story on his friend, Abdirahmaan Muhumed, one of the first Minnesota men who joined ISIS. I met the guy several more times, and he eventually believed I was a reporter. When our project, "From MN suburbs, they set out to join ISIS," came out in March 2015, a relative of Hanad Mohallim, one of the men we profiled in the story, sent me an email. 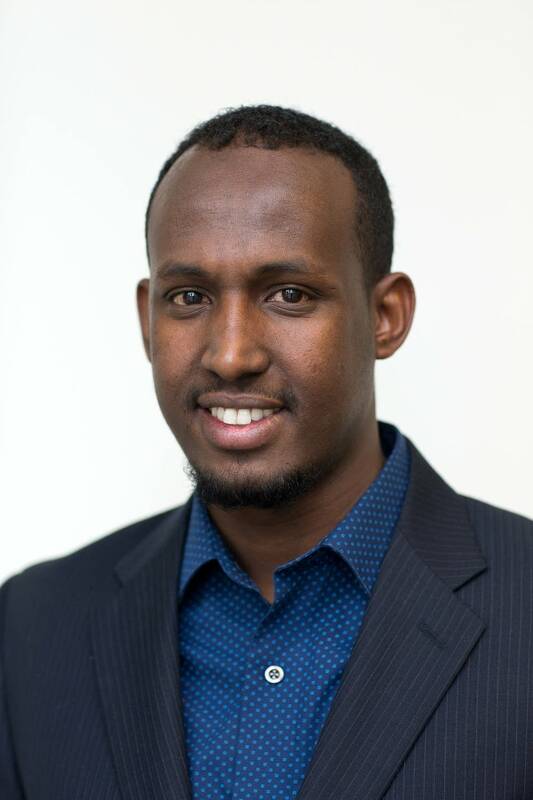 "I don't know how you could be so insensitive and inconsiderate of my family's feelings by publishing this article," the email said, "but as a Muslim, as a Somali brother, you should know that this is a sensitive topic for most Somalis." The writer called me "pathetic." That hurt. I learned how to develop a thick skin. I faced pushback not only from Somalis but also from the government. All through my reporting, I have paid special attention to the often-strained relationships between law enforcement and Minnesota Muslims. A federal program called Countering Violent Extremism championed by U.S. Attorney for Minnesota Andrew Luger came under fire by some community members who were concerned it was a front for spying. The program, called Building Community Resilience in Minnesota, aims to offer services to Somali-American youth. It's intended to make Somali youth more resilient to recruitment and radicalization by overseas extremist groups. Luger was trying to build bridges with Somali-Americans while also aggressively prosecuting Somali men who plotted to join ISIS. Rashad Turner, the leader of the St. Paul chapter of Black Lives Matter and a recent convert to Islam, equated CVE to Cointelpro, a 1960s FBI counterintelligence program that targeted civil rights organizations and political dissenters. He spoke at an event where civil rights and religious leaders criticized Luger's program. I was sent to cover the event and quoted Turner. Some found his comments unfair. The U.S. attorney's office had previously voiced concerns about MPR News coverage of the program. It thought we quoted more critics than proponents of the program. Most people who supported the program were reluctant and uncomfortable to speak openly about their views toward the Building Community Resilience program. At one point, an official with the U.S. attorney's office threatened to take MPR News off the press release list if I kept covering his office in a way he thought was unbalanced. In journalism school, I was taught to act independently, and that my primary duty is to serve the public interest. I go to great lengths to present all sides of a story. If the government thinks I'm not impartial and some in my community assume I'm not loyal to them, what am I? When I decided to become a journalist several years ago, I never thought I would find myself in this predicament. I also never thought that federal court security guards would single me out and treat me differently from my white colleagues while covering the ISIS-related trial in Minneapolis. On the morning of May 9, 2016, I woke up early, performed my morning prayers and read. When I arrived at the court that morning, I was astounded by the heavy security presence at the court building. U.S. marshals and Homeland Security guards wearing bulletproof vests with K-9 dogs roamed the main entrance of the court building. I waited in the lobby for a few minutes to observe the scene and then later approached the security screening around 8:20 a.m. Star Tribune reporter Stephen Montemayor was right in front of me. He offered his bag for clearance and went through the security. When I tried to do the same, a security officer stopped me and told me to wait with the rest of the public. When I told the guards I was a reporter and showed my press pass, I was again told the court wasn't open to the public. "I passed through security yesterday without issue," Montemayor tweeted the next morning. "[Mukhtar's] experience was vastly different. Unacceptable." Four days later, after an outburst in the courtroom that led to the removal of a handful of spectators, Montemayor and I stepped outside the courtroom to the hallway to see what led to the outburst. A security officer ejected three men from the courthouse. One was just standing in the hallway and wasn't involved in the altercation. To my surprise, a marshal walked up to my face and said, "You leave, too." He was so close I could smell his breath. At that moment, I was just taking notes on my phone and wasn't part of the group that engaged in the argument. But I'm Somali, like the men kicked out of the courthouse. I wore a press pass larger than the one I had on the first day of the trial. I got the larger press pass so it could be more visible, but it didn't do any good until an officer nearby intervened. "He's OK," he said to his colleague. I was allowed to re-enter the courtroom and do my job. As a reporter who speaks Somali and grew up in the culture, I was able to open a window for audiences into the experiences of immigrants. During the trial, there were moments I was the only reporter who understood what was going on in the courthouse. When tension erupted in the courtroom, a young man who was later removed from the courtroom told a mother of a government witness that her son was "jaajuus," a spy. Many Somalis have a special distaste for informants and are sensitive to government overreach. I could feel mothers' anguish when they described in Somali how the trial gave them many sleepless nights, thinking about the fate of their sons. I could feel how the whole case rocked the community, leaving many to ask why the government did not try to help the men who didn't practice strict religious rituals and who admitted to smoking marijuana, a strong taboo in Muslim culture. For stories about immigrants to flow into the traditional news, it's imperative to have reporters who are reflective of our communities' diversity, reporters who appreciate covering immigrants in our midst and who, more importantly, have what anthropologists would call a "lived experience." As a Somali from Minnesota, I get the issues in my community. No one has to explain them to me. In the fall of 2015, I wrote a story about Asma Jama, an ethnic Somali woman who was assaulted in a suburban restaurant for speaking Swahili. I was the first reporter to contact the woman before the mainstream media even found out her name. That unparalleled access is something I highly value. My story about Jama spurred a hate crime bill at the Minnesota Legislature that would toughen penalties for some bias crimes. Gov. Mark Dayton invited Jama to his State of the State address. When he mentioned her name in his speech, Jama got a standing ovation. Dayton even used quotes from my story in his speech. For me, that sort of impact is what makes working as a reporter worthwhile. Journalists have an important task in society. Over the last few years, as I have studied and practiced journalism, I have viewed my work as a labor of love, a way to connect to people, a way to document history. That's why some members of the Somali community began giving me an apt name: "Mukhtar MPR," the reporter.